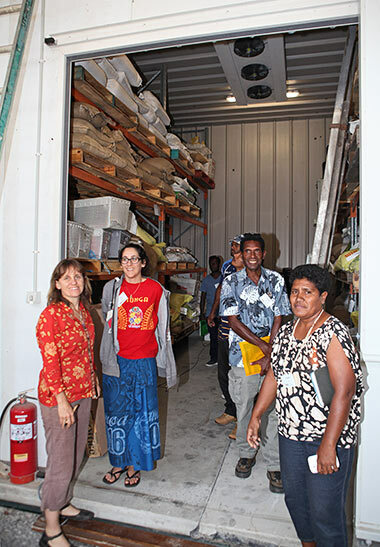 Eden Seeds received a welcome visit from the Pacific Open Pollinated Seed Exchange Learning group. 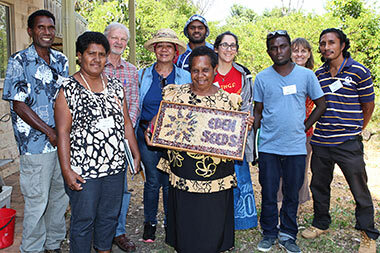 The group is in close contact with Seed Savers Network (Australia) and Emma Stone has been co-ordinating activities for many years. 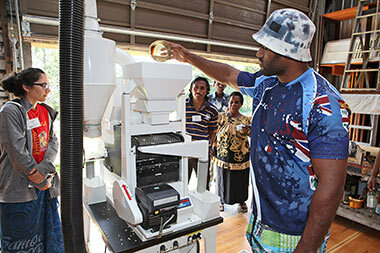 As well as an exchange of ideas visitors discussed seed cleaning and storage methods as well as packaging and distribution. It is interesting to note that in climates where seed can be planted all year most local plants don’t need storage as seeds are sown again straight away. This is just as well as many areas do not have electricity for refrigeration and if they do it is expensive. The group has keen interest in documenting local food plants and growing and using methods. There is also concerns about introduced hybrids varieties.